Growing peaches in Florida is pretty easy. Georgia gets all the credit when it comes to peaches; however, Florida is now giving them a run for their money thanks to improved low-chill varieties. Props to UF. 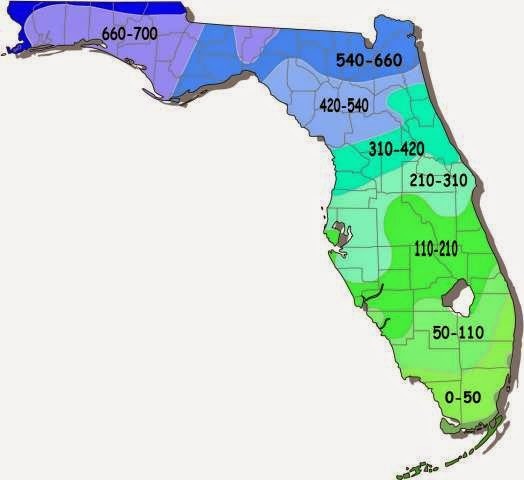 Our climate allows for a peach harvest a week or more before the Georgia crop starts, meaning Florida peach growers get a jump on the national market. For the backyard gardener or homesteader, peaches are a rich spring and early summer treat. If you’ve never had a peach fresh from the tree, you’ve never tasted a peach. Life rarely gets any better. The first time I grew peaches was in Tennessee. There I could grow classic Southern varieties such as Elberta and Belle of Georgia. I had both in my yard and the fruit was wonderful, though when you grow peaches, late freezes have a way of taking your blooms right before the “all-clear” of frost-free spring arrives. Here in North/Central Florida, I’m growing Tropic Beauty, Flordaking, Flordaprince and a Sunraycer nectarine, not to mention the many seed-grown peaches I’ve planted. 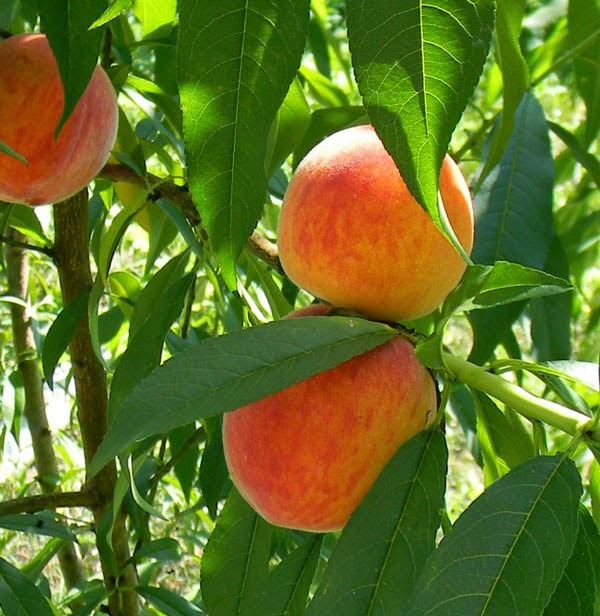 Why would I include a nectarine in my list of peach trees? Well, they’re simply a peach without fuzz, able to cross-pollinate with peaches. As a survival crop, peaches are somewhat lacking. They only produce at one point of the year, then take up space the rest of the time. They’re also too sweet to be used as a staple and the only thing on a peach tree you can eat is the fruit itself. But hey – getting through the Apocalypse will be a lot nicer with honey-sweet peaches, right? Decapitate a zombie… eat a peach! Watch the mushroom clouds billow overhead… eat a peach! Wonder as the global financial system crumbles… eat a peach! If you aren’t yet growing peaches in Florida, I recommend you plant a few. However, pay attention to your chill hours. Not all cultivars will grow in all parts of the state. You’re probably not going to have luck getting peaches to fruit south of Lake Okeechobee, but why would you care? Look up the chill hours for various cultivars, then plant accordingly. I recommend growing a couple different varieties with some chill hour variation. That way if one wakes up early and blooms during a warm snap, then loses its blooms, you can hopefully get fruit from the second tree that wakes up later in the spring. Genetic variation is your friend. Peaches respond very well to pruning. Chop them in half and they’ll snap right back. I like to prune in January before they wake up. Be brutal – you’ll be amazed how they snap back. Alternately, I’m just letting my seed-grown peaches find their own shape without any pruning at all. If they fail to produce well that way, I’ll start cutting. If you get potted trees from a nursery, you’re stuck with pruning since they’re already been grafted and shaped. Quit pruning and you’re likely to get few fruit, not to mention breaking branches and a terrible shape to the tree. This brings up another point: modern peaches WAY overproduce fruit. You need to thin, thin, thin the little fruit in the spring when they’re about the zie of marbles. 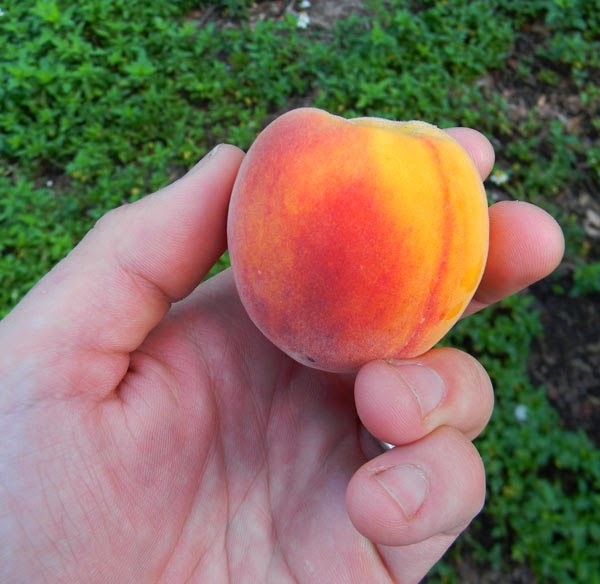 Thin them to at least 4″ apart from each other, otherwise you’ll get tons of tiny peaches crammed close together. Trust me – the peaches are much better when thinned, plus the branches are less likely to break from the stress of carrying hundreds of fruit. Tiny peaches are also a pain to process. As for pests, the worst ones are the plum curculio and the peach borer. The curculio tunnels into the growing fruit… the peach borer tunnels right into the tree. My feeling from a permaculture perspective is that both problems can be minimized through occasionally running chickens beneath your trees, as well as mixing them into a full ecosystem, rather than growing them in a monoculture. Other than insects, you have to fight the squirrels for peaches. They’ll chew a hole here and there and knock fruit off the tree like the destructive rats they are. Shoot and eat the squirrels. If they’re been eating peaches, they come pre-stuffed. Nematodes are also really bad for peaches. Load up the root zones with compost and mulch. Also throw on mustard greens, grow marigolds around them, etc. Or spit lots of tobacco juice there. Anything to knock the nasties back. Whatever you do, don’t grow peaches that are surrounded by a ring of hot, dry sound since that’s nematode heaven. Now you know I like doing this. It’s not recommended with peaches and nectarines because of the afore-mentioned nematodes, but they grow so danged fast and well I think it’s an acceptable risk. Normally, peaches are grafted onto nematode-resistant root stocks, but your seedling peaches won’t have that advantage, so take care of them. On the upside, they grow WAY FASTER than potted, grafted trees. From sprouting a pit to getting this fruit took 2 years. That’s a FAST fruit tree. My young seedling trees are taller than all the potted trees I planted a couple of years ago… and healthier, at least for now. Time will tell, but I’ve already gotten enough free peaches to make the experiment worthwhile. If you want details on how to grow peaches from a pit, click here. I’m working on germinating about 200 right now. Yep. 200. Go big or go home. 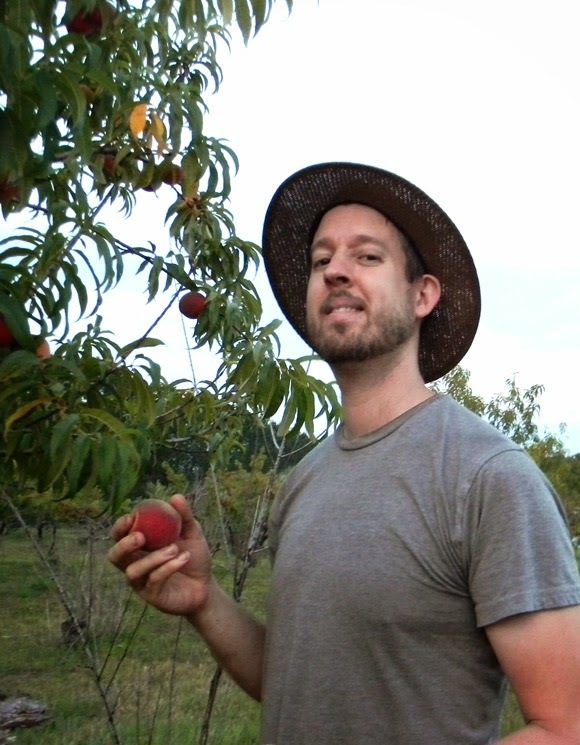 Overall, peaches are a very worthwhile addition to the survival garden. When you get a big crop, can it, dry it, freeze it or turn it into something flammable, then you can enjoy peaches all year long. And enjoy them you will. David – what do you spray your trees with to prevent worms in the fruit? I had a beautiful crop of very juicy peaches this year . . . and each one had worms (the tree itself appears very healthy)! I think it was some kind of wasp laying her eggs on the fruit . . . and for me chickens aren't an option right now. Killing them any time they show up – and before they can pupate in the soil around your tree – may break the cycle. If nothing else, peaches could be valuable currency in the zombie apocalypse. Do you still HAVE to worry about nematodes if they're on nematode resistantroot stocks? Yes. The improved root stocks are unfortunately just "resistant," not impervious. wow, you've got 200 seeds going..that's impressive..I'm sure you'll get better than 50% germination, so you'll have tons of plants..literally. I've got a couple started as well, http://wp.me/p5T25X-4A, (not sure if they're peach or nectarine), and you are right they do grow quickly..any chance you'd be willing to share some of your pits? I'd be happy to pay postage…Don't know if the ones I planted will fruit here or not, would probably have better luck with your varieties..Thanks. Hi I’m from Northern Arizona and stumbled across one of your youtube videos.. I will be trying to grow peaches from seed I have pits from a friend who has 2 trees in her backyard up here. I’m a bit worried about the hardiness of young peach trees as we get lots of snow I’m thinking of planting them in pots and keeping them inside for the winter storms? I think you’d be better letting them go through the winter outside – maybe cover them or plant in a sheltered location. Nevermind buddy. I just went to the mexican fruit stand and I got a basket of FL grown peaches that hopefully will work for me.